Nuevo Kingdom Hearts anunciado para PC... o mejor dicho, para exploradores de internet. » Videojuegos » Zona PC » Nuevo Kingdom Hearts anunciado para PC... o mejor dicho, para exploradores de internet. The Japanese gaming publication Famitsu reported on Wednesday that a PC browser online game for the Kingdom Hearts game franchise will be opened in celebration of the game series' 10th anniversary. The game, titled Kingdom Hearts Chi will be the very first PC browser online game in the series. Players directly control the main character as they travel various Disney worlds. Users continue playing by engaging in card-based battles, sometimes entering battles with the help of their friends. There is a full list of items the player is able to use, including free and paid items. In addition, the first pressings of the upcoming Kingdom Hearts -HD 1.5 Remix- video game for the PlayStation 3 will come bundled with a code for a “Handy Set” usable in Kingdom Hearts Chi. The set will come with a Rare+ Sora card, 20,000 Munny, and 4,000 card-draw points. Those who purchase the PlayStation 3 game on Square Enix's e-STORE will also receive a code to obtain a “Battle Support Set”, containing a Rare+ Riku card, 10 potions, and 10 ethers. 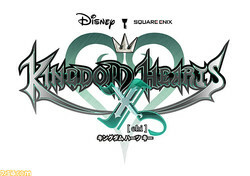 Kingdom Hearts -HD 1.5 Remix- is slated for a March 14 release in Japan for 6,980 yen (about US$77). Joder, ya era hora. KHs en todas las plataformas excepto para ordenadores. Chupaos esa, consoleros. ¿Quién tiene envidia de quien ahora? ¿Eh? ¿Eh? TL;DR: Típico juego en flash mierder del facebook con cartitas y probablemente canon. Y otro juego innecesario más antes del KHIII. Nomura, definitivamente no volverás a ver mi pasta en la vida. Por sacacuarters.